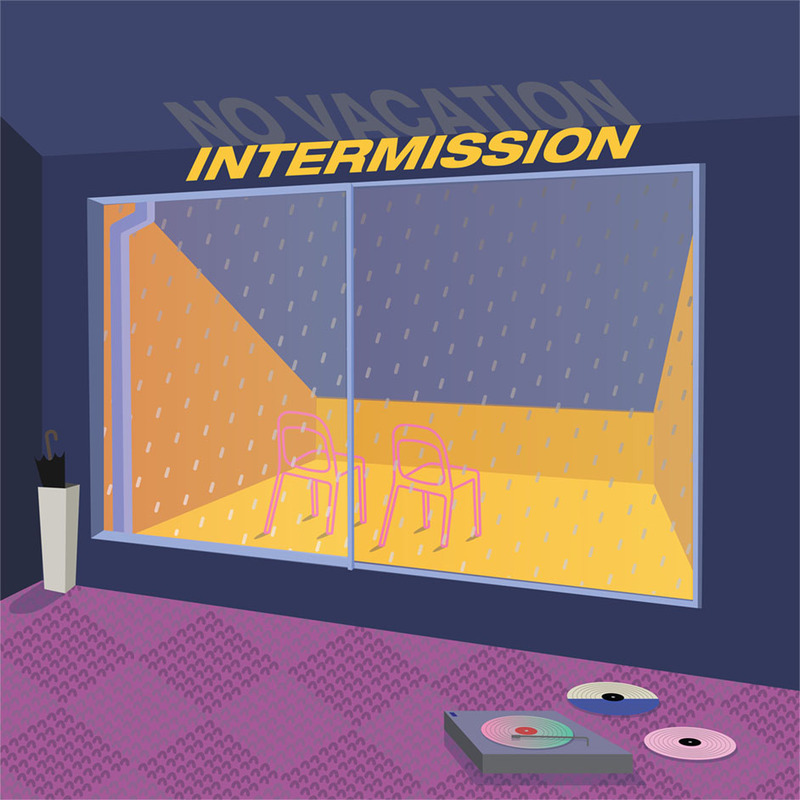 No Vacation stay true to their name by taking no breaks on their new EP, Intermission. Coming off a two year hiatus following the release of Summer Break Mixtape, Intermission gives us all the lo-fi bedroom pop sound that we have come to love. Reminiscent of other DIY artists such as SALES and even the early work of Best Coast, this EP somehow makes feeling melancholic kind of fun. In its entirety, Intermission is a collection of lullaby songs for the millennial generation. Like most bedroom pop, where the EP falls short is its dedication to the band’s own sound. Unlike Best Coast’s debut album Crazy For You, the individual songs on the EP do not stand out as distinctive against one another. This is the ultimate challenge for most lo-fi bedroom pop, though; distinctiveness is hard to come by. That being said, No Vacation’s sound is so enjoyably pleasant that it makes up for the arguably repetitiveness of the EP – the songs off Intermission can perfectly fit into anyone’s fall playlist. Although songs like ‘You’re Not With Me’ and ‘Mind Fields’ deal with the cold loneliness of the post-breakup period, the melting strums of their guitars will make you feel cosy either alone or with a lover. Overall, Intermission is a great reintroduction to No Vacation, especially after leaving the scene for the better part of two years. Hiatuses can often bring growing pains to artists who struggle to find their footing in an industry that rapidly changes; No Vacation, on the other hand, have their climbing gear ready.